East AsianDrosophila melanogaster are known for great variation in morphological and physiological characters among populations, variation that is believed to be maintained by genetic drift. 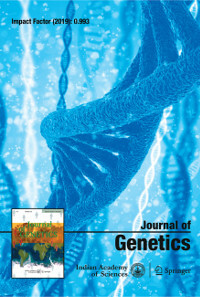 To understand the genetic properties of AsianD. melanogaster populations, we initiated a population genetic study of chromosome inversion polymorphisms in hitherto unanalysed population samples from Southeast (SE) Asia. We generally found a high frequency of each of the four common cosmopolitan inversions in comparison to populations from Africa, Asia, and Australia. In contrast to the great phenotypic variation among Asian populations, however, we could not detect differences in inversion frequencies among populations. Furthermore, we observed neither correlations of inversion frequencies with population latitude and longitude, nor evidence for linkage disequilibrium between different inversion loci. We propose two explanations for the observed genetic homogeneity among these SE AsianD. melanogaster populations: (i) the observed pattern simply reflects the retention of ancestral polymorphisms originating from a panmictic population that was once present on a large single landmass (Sundaland), and/or is a consequence of high recent gene flow between populations; and (ii) it is caused by selective forces (e.g. balancing selection).